In my imaginary dreamworld, one of the top jobs I have for myself is to run a craft studio. I would invite women into a creative space where they can exercise their crafty side or find a creativity they didn’t even know existed inside of them. I would give them all of the tools, materials and ideas that would make it easy for them to step away from the demands of everyday life and do something creative while being surrounded by great conversation, warm drinks and friends. A few times a year, I live out this dream. 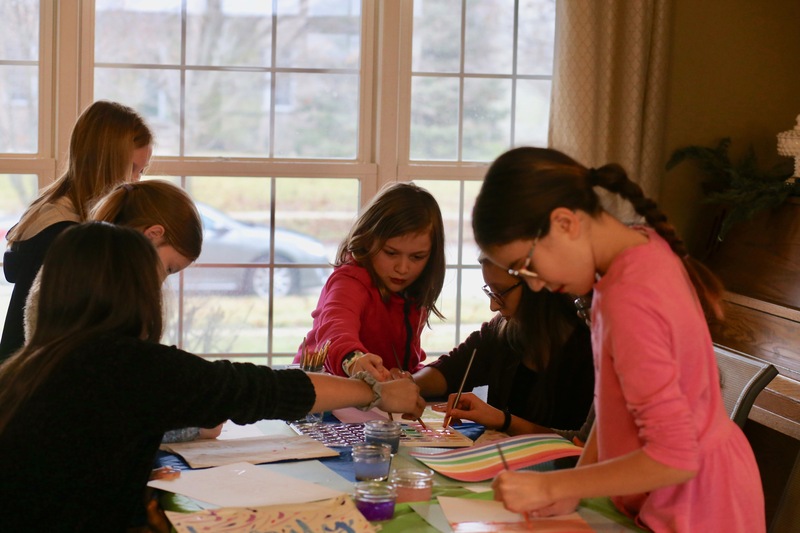 I invite a bunch of friends to my house and have a project ready for them to create together. 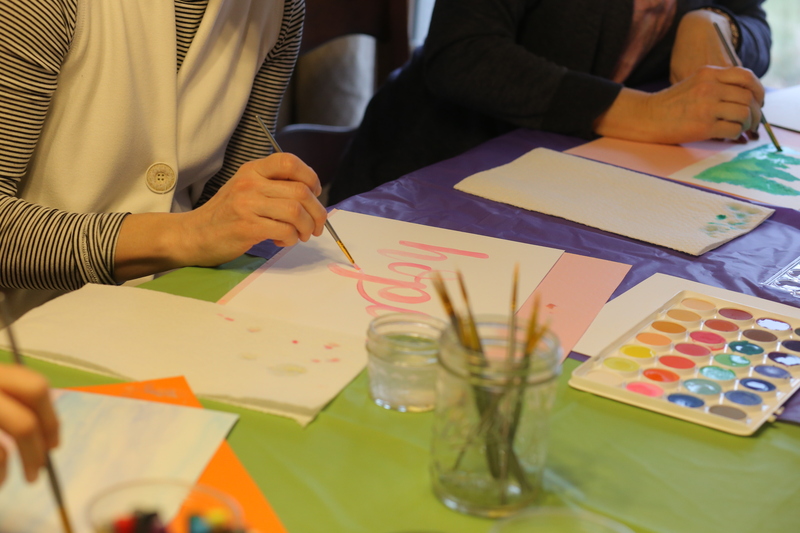 If you’ve been my friend anytime in the last 20 years, you’ve probably been invited to my house to do a craft (whether you wanted to or not!). I’ve done this two years in a row now on New Year’s Day, which in my mind, makes it a tradition! For the past few years, I’ve enjoyed selecting a word of the year. I also got a new crafting tool for Christmas. 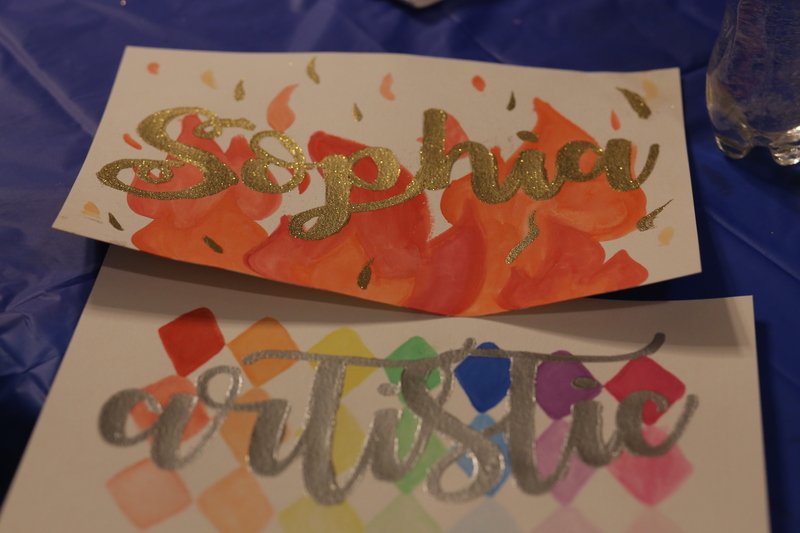 While playing with it, I came up with the idea that I could score and deboss my word on a piece of paper to create an outlined indentation of the word that I could paint with watercolors. 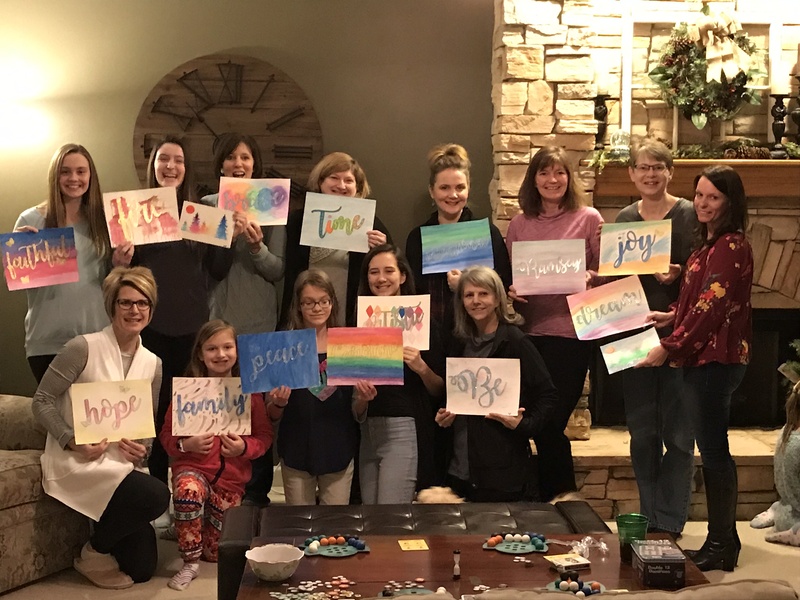 I decided this would be a great creative project for the ladies in my growth group, who are always up for getting together and doing something crafty. We can’t exclude the guys and kids though. 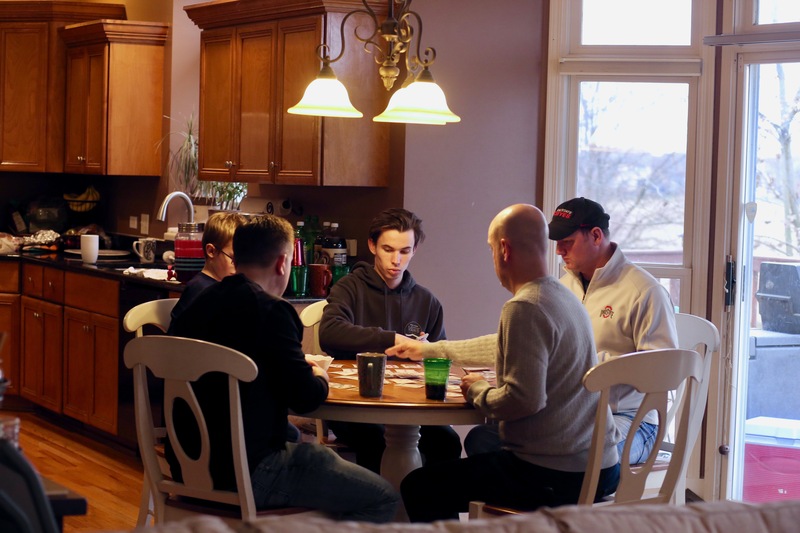 Our family has been having a lot of fun this winter break playing a fast-paced card game called Nerts. I remember playing this card game for hours as a kid with my three older siblings and their friends. We set up crafting stations for 18 women and their daughters, and I asked each guest to tell me in advance her word of the year so I could score it on the paper with my Silhouette. Most of the participants had not taken part in the trend of choosing one word that would be her focus for the year. But they were good sports and took some time to think of a word they wanted to paint. 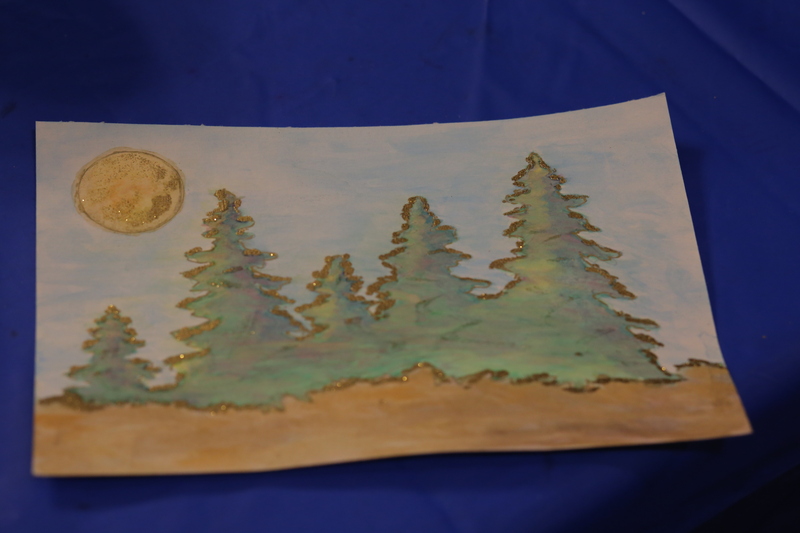 My youngest daughter and I spent time in advance practicing the painting project to work through questions that would make the craft easier as a group. What type of paper should we use? What kind of paint would work best? How deeply should I score the word so it was visible, but would not cut through the paper? In the process of trying out the project, I stumbled upon an idea to add embossing powder to the word. I love any type of paper craft, and at one point in my crafty life, I made handmade notecards that I would stamp and emboss. Thankfully, I still had some embossing powder and a heat gun stored away in my drawers full of craft supplies. 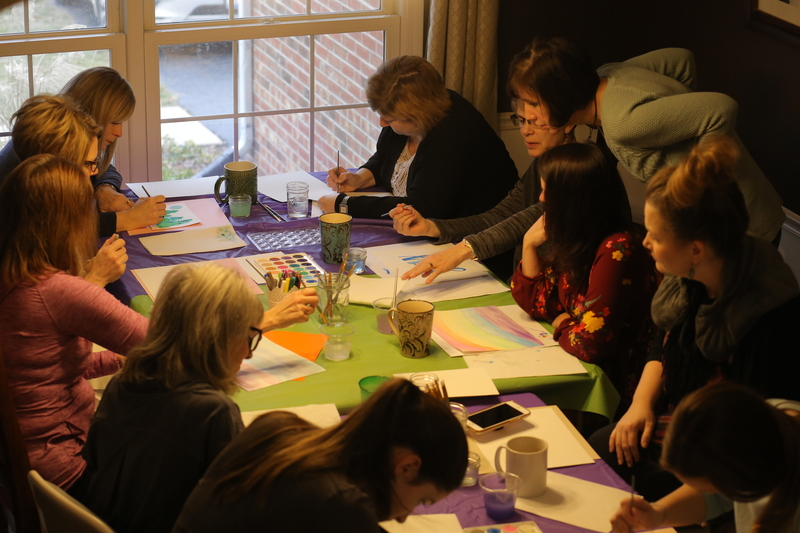 I was excited to gather around the table in a full room set up for creativity. My favorite part of the process though isn’t just being creative together. It’s also finding a way to engage people in meaningful conversation while we work. This year, it was easy to think of a good topic to discuss. We asked each participant to talk about the word she had chosen and why it was special in her life. Some of the words friends chose included: joy, hope, dream, achieve, time, fire, faithful, be, family, intentional and their family name. I loved hearing each woman talk about why that word was special. 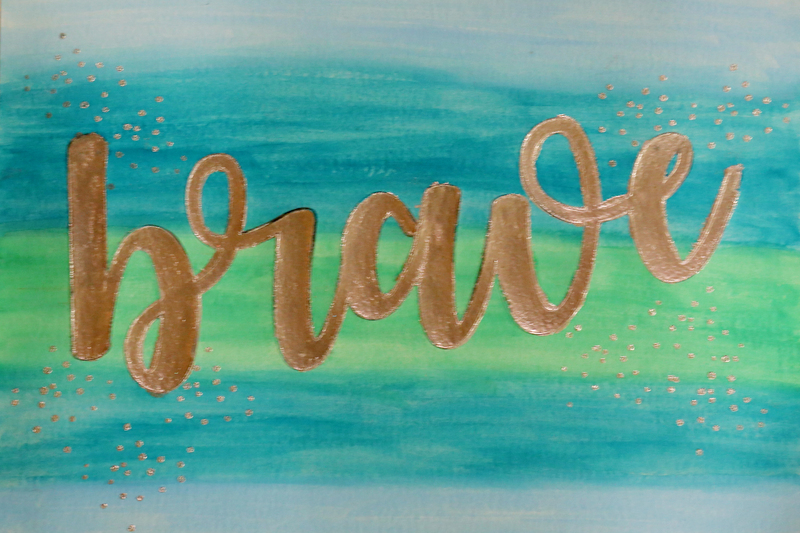 My word for this year is “brave.” I feel like God gives me the word that I am supposed to make my focus for each year. When Christmas passed and I didn’t have a word yet, I decided maybe I wasn’t meant to have a word this year. All this year, I have been wanting to buy a devotional called, “100 Days to Brave.” A few days ago, I heard the author talk about this book on her podcast, and it hit me. That’s my word of the year! I’m going to turn 50 this year, and I want to be brave about entering a new decade of life. Our oldest son will start college this fall. I want to be brave about releasing him in a healthy way. We are considering some changes at our church, which could shift my job responsibilities in a big way. I want to be brave about accepting what’s next for me. I want to be brave, in general, about pursuing my dreams. I don’t want to let fear hold me back. 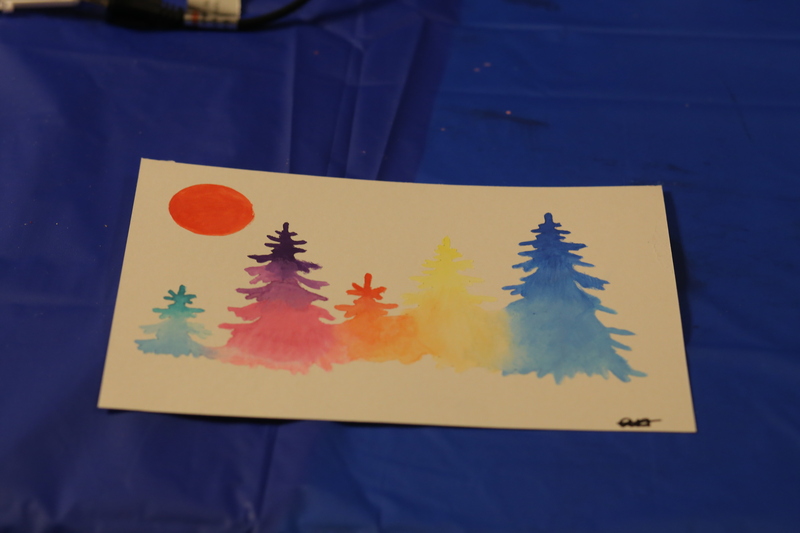 In addition to the “word” painting, I also created a winter scene for each woman to practice her creativity. I did this in the same way, by scoring the picture on watercolor paper. 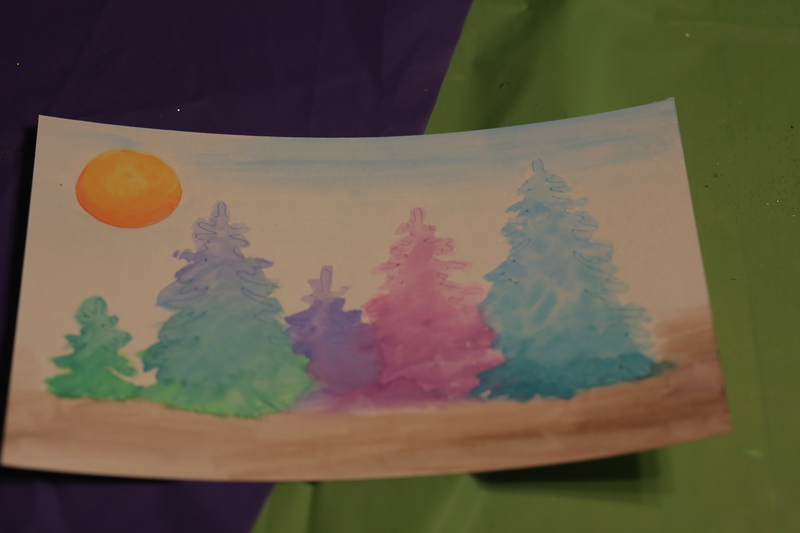 This was a fun way to get familiar with the watercolor paints before starting on the word project. Once everyone arrived and got settled, I had to just sit and soak up all of the creativity in the room. I absolutely love seeing a group of people all work on the same project, but create end results that look completely different. It fills up my heart to be around people releasing their creative energy. We all especially loved adding the embossing power to give our projects some sparkle. This morning, I woke up with glittery powder still shining on my carpet. I have jars of paint brushes drying, and I need to put away the watercolors, stamp pads and other supplies. But I’m feeling joyful that I got to kick off 2019 living in my imaginary dreamworld for the day. Here’s to a creative 2019!